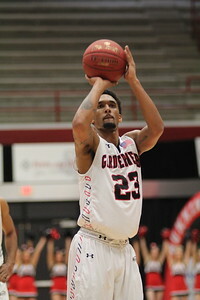 23, Adonis Burbage shoots a basket. 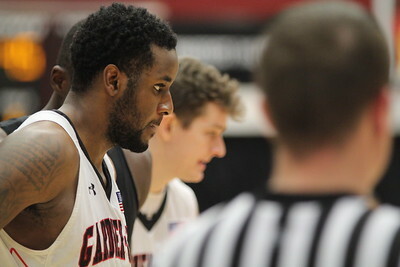 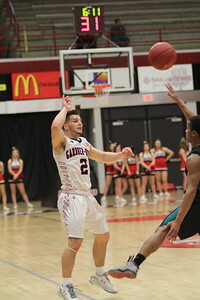 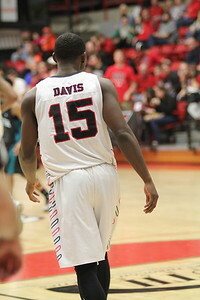 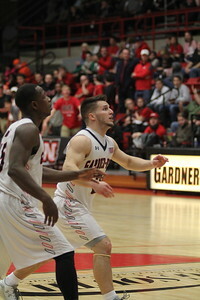 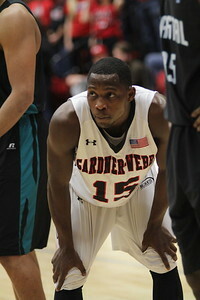 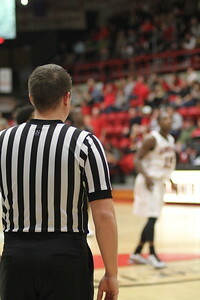 Saturday afternoon, January 31st, GWU Men's Basketball conquered Coastal Carolina 66-64 in the last two seconds of the game! 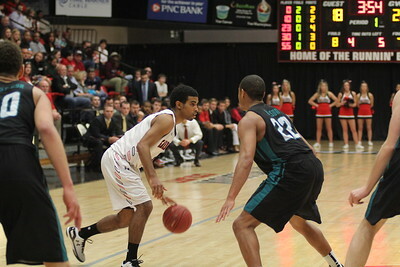 Exciting game with lots of action of GWU fan support. 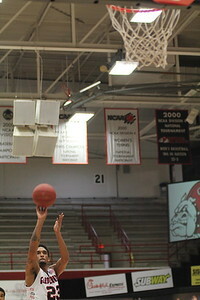 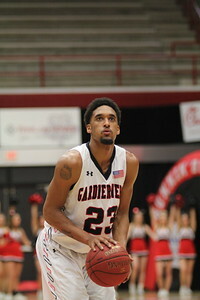 23, Adonis Burbage, shoots a free-throw. 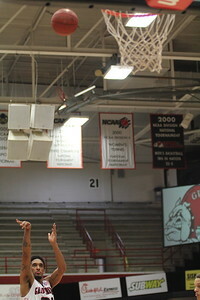 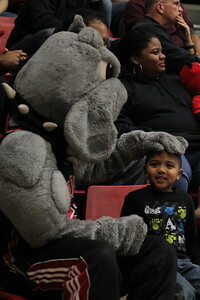 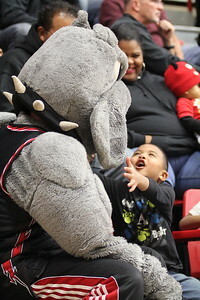 Mac, our GWU Bulldog, interacts with our fans. 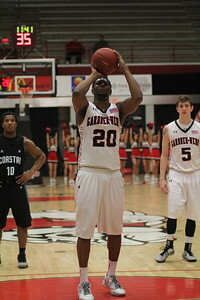 20, Tyrell Nelson, shoots a basket. 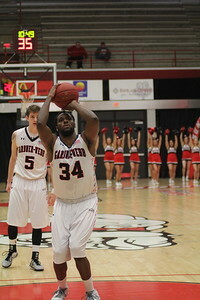 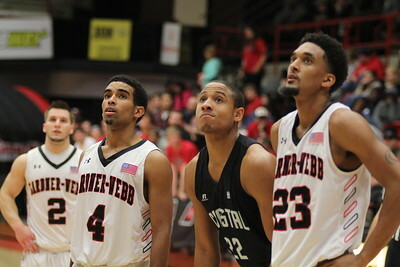 34, Jerome Hill, shoots a free-throw. 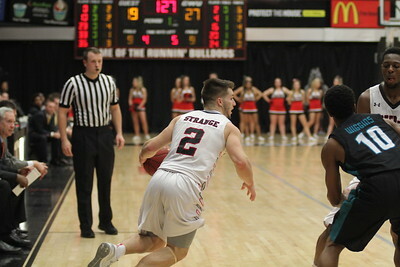 2, Tyler Strange, handles the basketball. 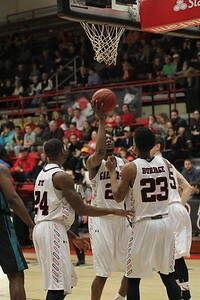 Jerome Hill reaches for the basketball. 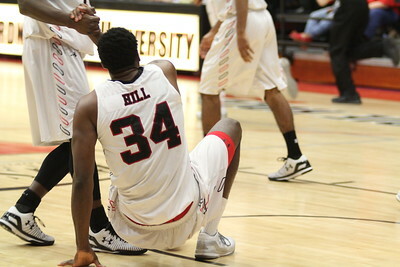 Teammate helps Jerome Hill up after falling in the game. 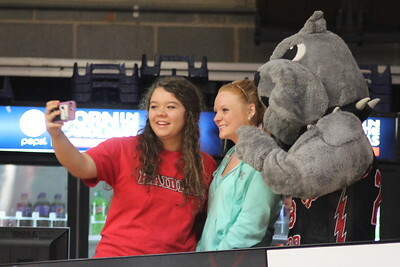 GWU students take a selfie with Mac. 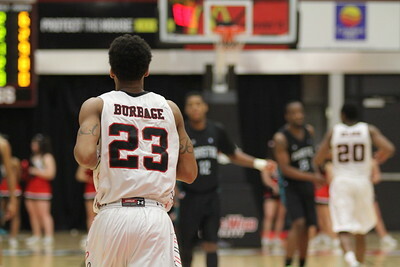 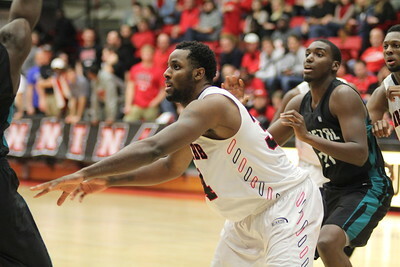 23, Adonis Burbage, runs toward the basket. 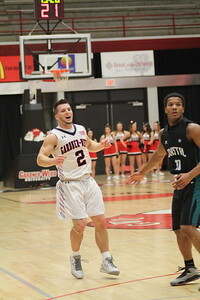 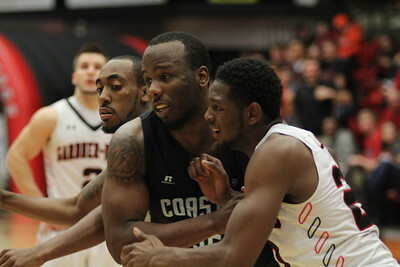 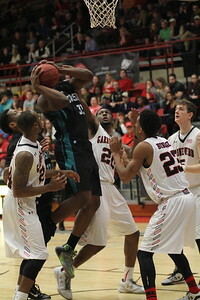 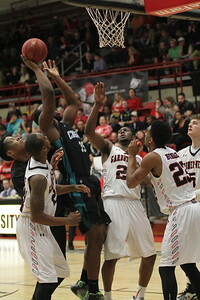 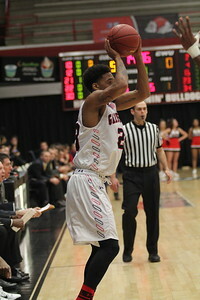 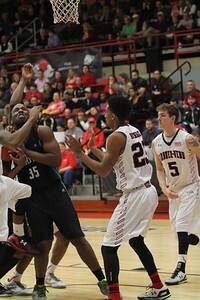 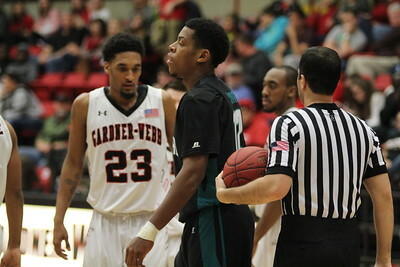 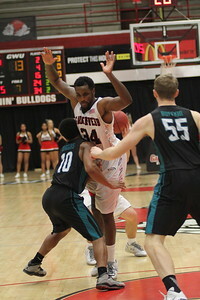 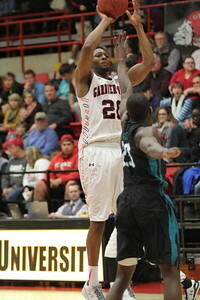 GWU fight to stop Coastal from scoring.